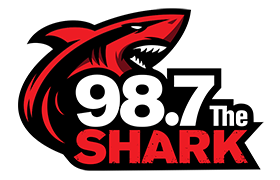 98.7 The Shark is Tampa Bay’s Next Generation of Classic Rock. We’ve listened to folks like you to find out what’s been missing from your radio. We discovered an intense appetite for music that ROCKS from the ’80s and ‘90s. These are songs that you can’t find on any one station, and many that you can’t find anywhere else. We call it the Next Generation of Classic Rock. Dive in and stream us now! Let us know what you think. We couldn’t do this without you.